There is one important point that you need to keep in mind. Before you update your iPhone 7/SE/6s/6, you should backup your iPhone on iTunes or iCloud. Because the update will erase all your data on your device. After the update is finished, you can restore iPhone from iTunes backup or iCloud backup. iTunes is always the first choice for iOS devices to backup data as the official software. But it seems that some iPhone users, especially new users, don’t know how to restore iPhone from iTunes backup after they update their iPhone. 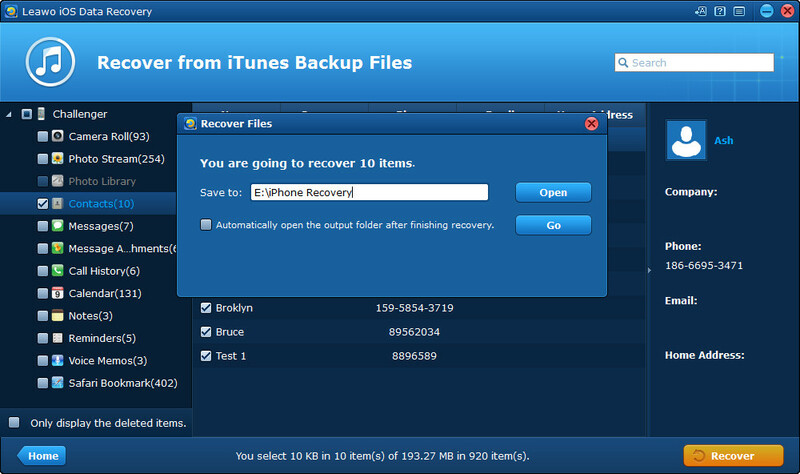 Therefore, here are several detailed steps as followings to tell you how to restore iPhone from iTunes backup at ease. 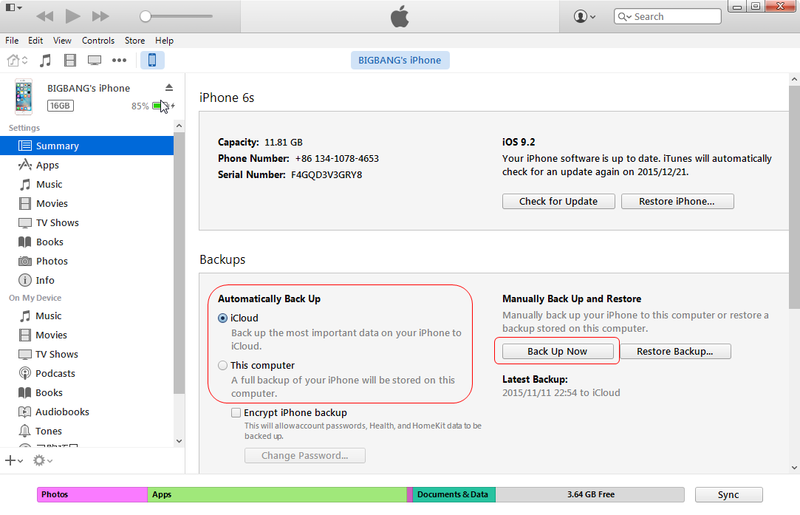 Before restoring iPhone from iTunes backup, you may also need to know how to back up iPhone on iTunes. It is very easy to accomplish the operation with three steps. Step 1.Connect your iOS device to your computer using an USB cable. Then launch iTunes. Step 2.Click device button to the left of the iTunes Store button in the top right corner in iTunes. Then click “Summary” in the left sidebar. 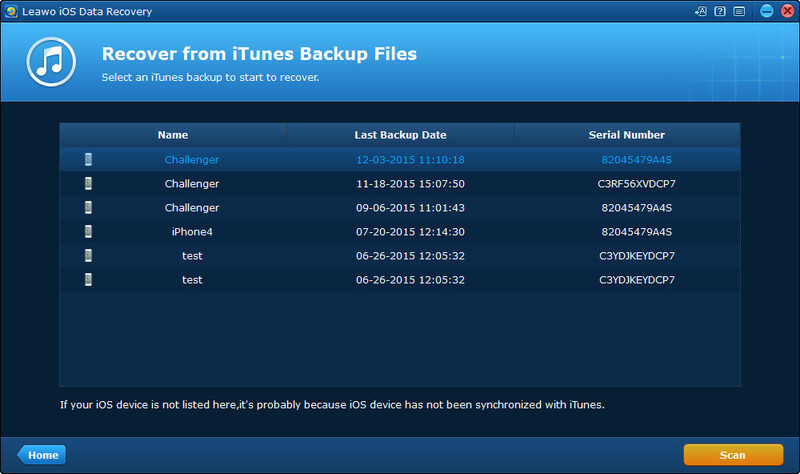 Step 3.Click “Back Up Now” in the right part, iTunes will begin to back up your device. After you have finish your updating on your iPhone, you can restore iPhone backup from iTunes. Obviously, we always choose to restore backup on iTunes directly. Step 1. Connect your iPhone to your computer using an USB cable. Then launch iTunes. Step 2. Click device button to the left of the iTunes Store button in the top right corner in iTunes. Then click “Summary” in the left sidebar. Step 3. 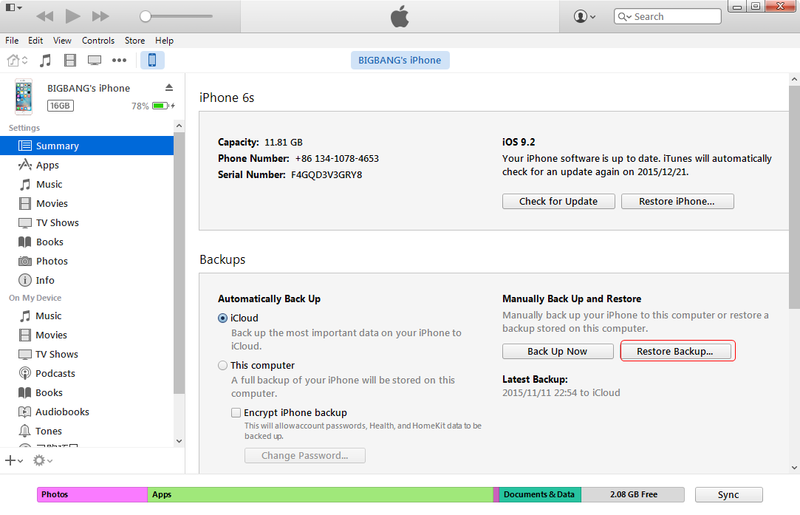 Click “Restore Backup” in the right part, iTunes will begin to back up your device. However, a part of Apple users complain that iTunes may lose some data when they restore iPhone from iTunes backup. So here comes question: is there any way to restore iPhone from iTunes backup without data loss? The answer is: YES. The third-party software may be a good choice. iPhone Data Recovery is the professional iPod touch, iPad and iPhone data recovery software. It empowers Apple users to recover deleted text messages, contacts, reminders, notes and more from iPhone and extract up to 12 types of files from iTunes and iCloud backup files. You can recover data from iPhone/iPad/iPod touch easily no matter that the data have been lost/damaged/deleted owing to iOS upgrade, jailbreak, factory settings restoring, wrong deletion, broken or formatted storage device, or many other unexpected causes. The following will show you how to restore iPhone from iTunes backup with the iOS Data Recovery and you can free download to have a try. Step 2. Select the iPhone backup and click “Scan” button at the right bottom. Step 3. 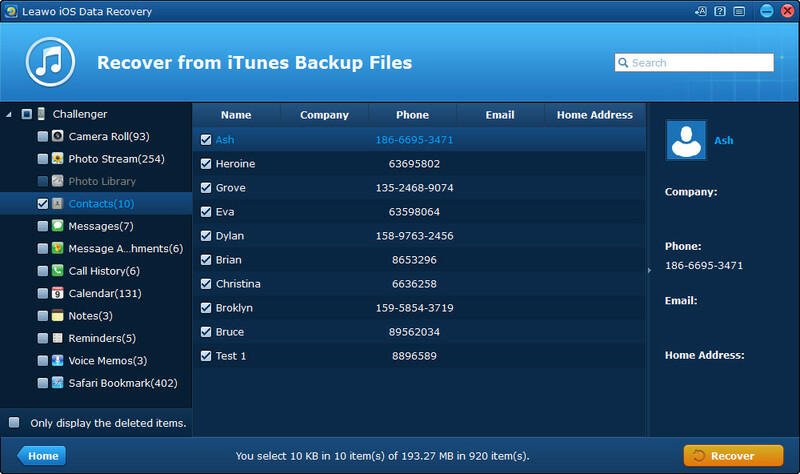 After the software scan your iTunes backup, select the data you need. Then click “Recover” button. Step 4. Click “Open” button in the pop-up dialog to choose a target folder on computer. Then click “Go” button to begin to restore iPhone from iTunes backup. The above is about how to back up iPhone and how to restore iPhone from iTunes backup. As an iPhone user, don’t forget to back up your iPhone and restore your iPhone from iTunes backup or iCloud backup if you want to update your iPhone.